I owe a huge apology to my readers: the blog's been dead in the water for a couple of weeks as I sorted out a variety of issues on the home front. I will make amends. 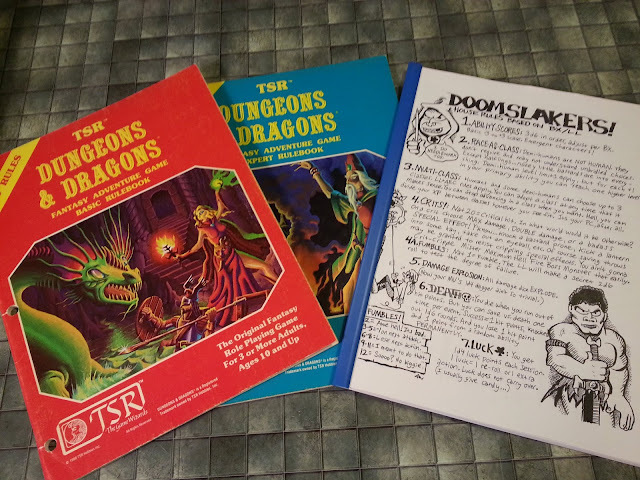 I probably won't be posting this week, but I plan on resuming the scanning project next week, with a deluge of material for TSR's original Top Secret. So not only are you coming back, but you are coming back with Top Secret? But you see, you did post this week. Next to D&D, top Secret S.I. Was my favourite RPG growing up. I can't wait to see what you run on the subject. Good to see that you are still kicking. Did you get that scan from the old Epic that I sent you? @Ameron: You whipper-snappers and your /S.I.... get off my lawn! "Rumors of My Death Have Been Slightly Exaggerated"
My god, he's come back as a zombie.